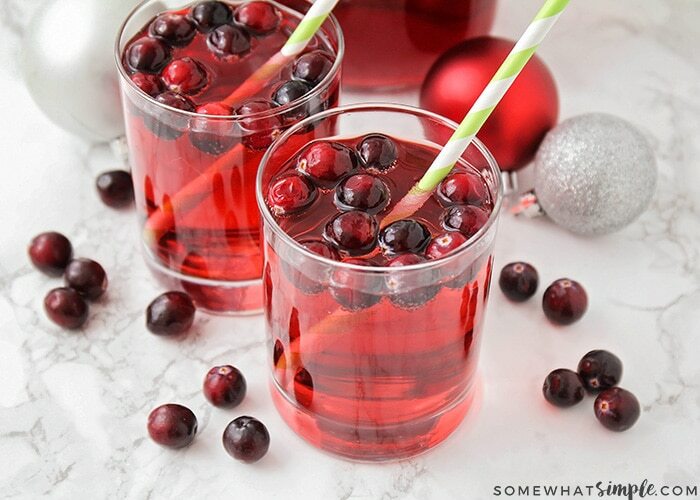 This EASY Holiday Punch Recipe is made with only 2 ingredients – lemon lime soda and cranberry apple juice! 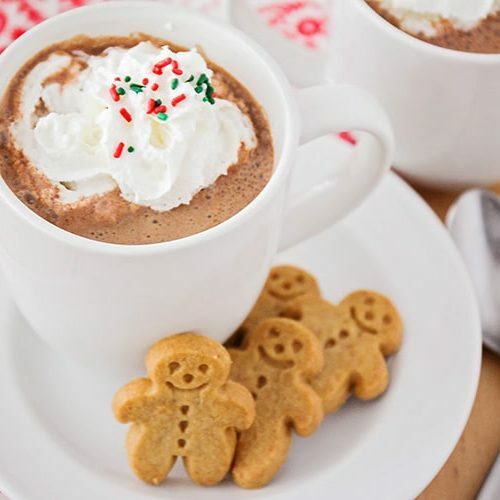 It is so easy to make and perfect for Christmas! We love a good mocktail recipe in my home, and our slow-cooker caramel apple cider is ah-maze-ing. 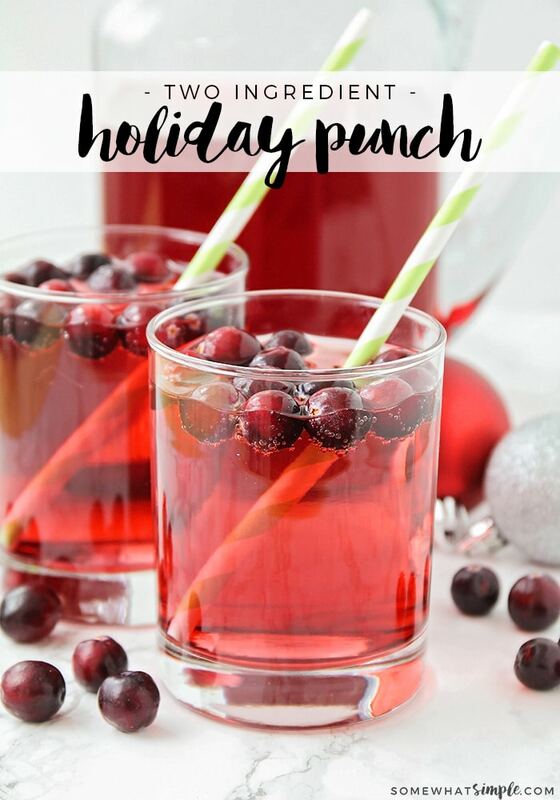 But this holiday punch ranks right up there with my favorite winter drink recipes! It’s simple to toss together and it tastes SO GOOD. 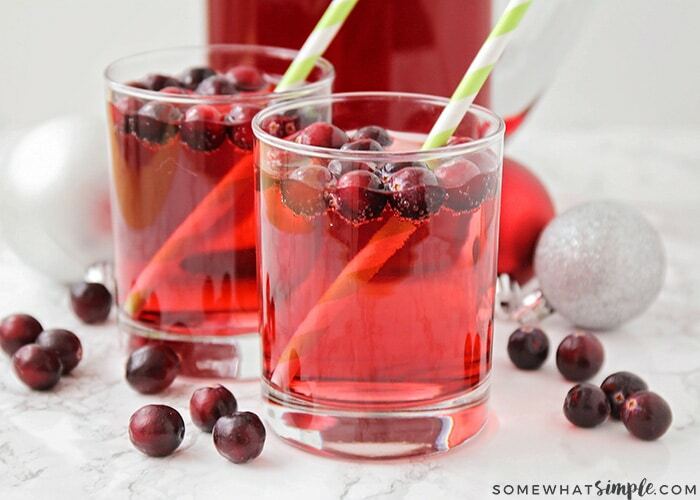 If you’re looking for the best holiday punch recipes, you’ve come to the right place! Lemon lime and cranberry…a delicious match made in Heaven. My mom used to make this holiday punch recipe every year. It reminds me of home, of family, and of delicious homemade dinners. This punch recipe is now my own family’s favorite drink to have with Thanksgiving and Christmas dinner. It is not only deliciously festive, it also could not be any easier to make! Made with just two ingredients, you can totally keep everything in your pantry and pull it out when you need something delicious to serve your holiday guests but are short on time. The color is pretty, the flavor is fantastic, and there’s literally NO prep. *and we use the term “recipe” very lightly! 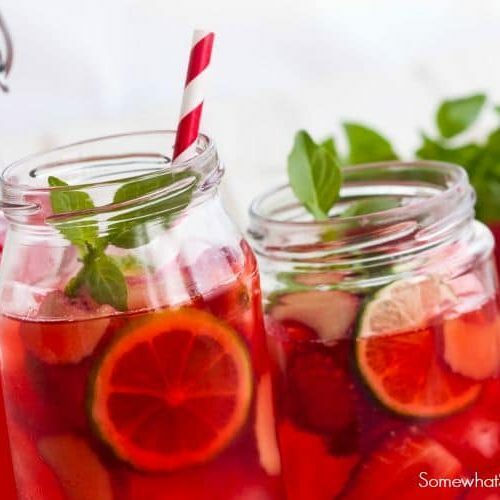 In large punch bowl or pitcher, combine lemon lime soda with cranberry apple juice. Chill until ready to serve, and sprinkle with cranberries if desired. 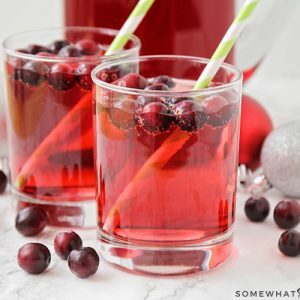 This punch is also great with plain cranberry juice cocktail or a cran-raspberry juice instead of the cranberry apple juice! My mouth is watering as I type this! We don’t drink alcoholic drinks in my home, but my husband and I like to have a “fancy drink” sometimes after the kids go to bed. 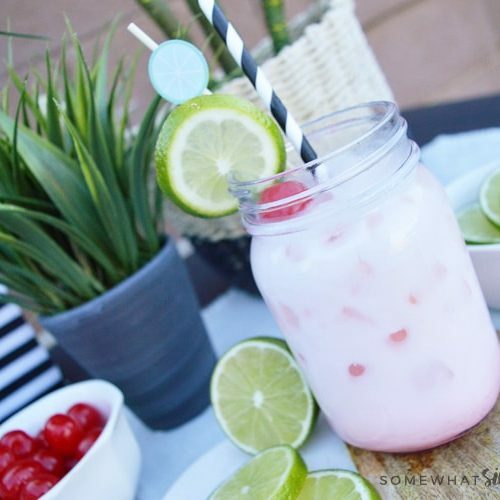 This punch is perfect to unwind and cuddle with your spouse! Pour a glass and drink up my friends!